Imagine this. You are a strategy consulting executive at a major global consulting firm, you are well traveled, having visited over a 100 countries, gorgeous, brilliant, hold multiple degrees including several in engineering, and have studied at some of the world’s most prestigious institutions. You are passionate and committed to the advancement of women and girls in science, technology, engineering and math (STEM), and contribute your time and resources to diverse charities. Despite all of these great accomplishments and the beautiful woman you know yourself to be inside and out, the one thing you greatly desire, which is a family of your own with your own Mr. Right, seems quite elusive. Worse, family and societal pressure to be married, at your age, have you feeling like a failure, despite your stellar accomplishments. If you are in such a situation, what would you do? Would you leave things to chance while your proverbial “biological clock” ticks away or would you take matters into your hands by freezing your eggs to reduce family and societal pressure, while you wait for your Mr. Right? 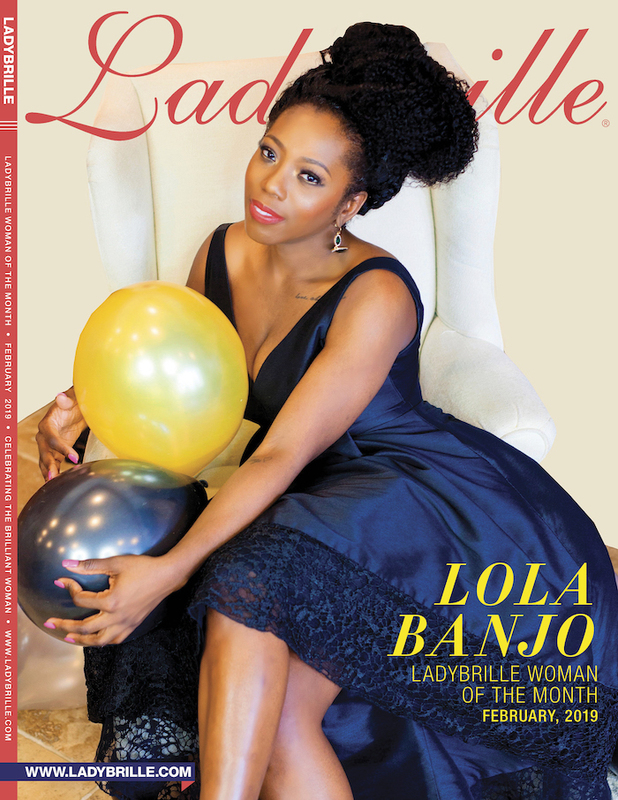 The aforementioned scenario is Lola Banjo’s story, our Ladybrille Woman of the Month for February 2019. In this podcast episode where we celebrate Lola’s accomplishments and contributions to society, she walks us through her journey and decision to freeze her eggs. Her story is a must listen, and is just in time for the Valentine season. Listen now and share. Lola Banjo is a corporate strategist and innovation executive with a passion for advancing women and underrepresented minorities. She has spent the majority of her career helping large organizations achieve strategic goals through a blend of analysis, partnering, and creative problem solving and she uses the same thinking to ideate on tangible ways to address social issues. Her personal passion for and commitment to serving others has led her to her work as Board Director at Mouse.org, an organization that supports youth from underserved demographics via a technology education, and as a committee member of FACE Africa, an organization addressing water and sanitation issues in Sub-Saharan Africa. She holds a B.S. in Materials Engineering w/ minors in Mathematics, Economics and Computer Science from Rutgers University, an M.S. in Financial Engineering and a Grad Certificate in Risk Management from New York University, and an MBA in Strategy, Finance and Decision Sciences from Emory University. She has also studied at top schools around the world including FGV Rio (Brazil), WHU Koblenz (Germany), RSM Erasmus (Netherlands), The London School of Economics and SDA Bocconi (Italy). She is an avid photographer and world traveler, having visited 100+ countries and counting.